ACG Inc ., the recognized leader in affordable Custom Electric Vehicles, is pleased to introduce the all-new T-Sport® GT. LSV/NEV Certified with a top speed of 25 miles per hour, the T-Sport® GT is the perfect Electric Vehicle to get you where you need to be. T-Sport® GT can be licensed for Street Use in most States in USA for use on City Streets with a posted speed limit of 35 mph or less. Whether you are going to the golf course, the market, or simply out to enjoy a beautiful day, the T-Sport® GT is your elegant choice. The T-Sport® GT was built with purpose and reliability in mind. Our dual purpose platform allows you to transform your T-Sport® GT from a community vehicle to being the envy of everyone on the golf course with an easy to use hand- release golf bag attachment. 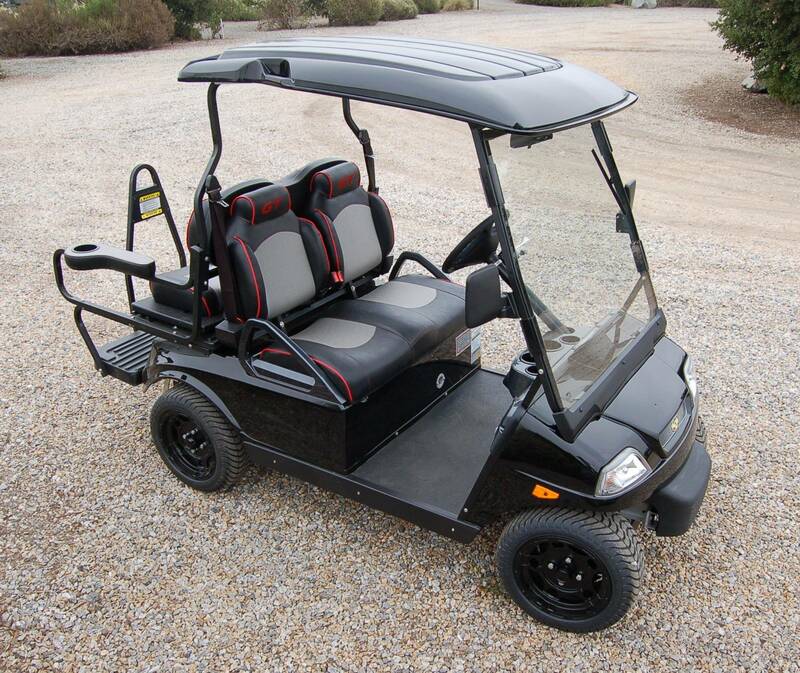 American Custom Golf Cars, Inc. has also certified the T-Sport® GT with Federal Government (NHTSA/DOT) so that the T-Sport® GT can be offered as a "Neighborhood Electric Vehicle" (NEV), which qualifies it for street use and may also qualify you for a Federal Income Tax Credit with IRS . The quality of the T-Sport® GT begins in the engineering of the car from the ground up. The T-Sport® GT is built using completely new parts. The T-Sport® GT uses a long lasting 48-volt system to ensure maximum range using industry leading Traction batteries managed by the SEVCON computerized controller. The T-Sport® GT also features an on-board 12-volt converter that gives you an in-dash power source to power you cell phone or laptop computer. For added safety, the T-Sport® GT has been outfitted with standard headlights, brake lights, turn signals, horn and is the only golf cart to feature a standard 4-wheel braking system, which includes the use of front wheel hydraulic disk brakes. With all of the standard features that have been engineered into the T-Sport® GT, ACG, Inc. has reset the bar in the Custom Electric Vehicle industry to a level that has never before been seen and that other companies can only hope to come close to. The T-SPORT® GT is available with a multitude of options to increase your driving comfort and pleasure. The T-SPORT® GT is available in several standard colors, but can be on special order painted in any Custom Color you wish.